Your Right Step Towards The Right Choice. Learn Right Driving School is a well know driving school in Dublin 15 area. It has been established since 2007 with a success pass rating track record of about 90% with best and professional service provided. Learn Right Driving School provides the first of its kind 3 pedal dual control cars which make very easy and safe for a beginner to learn to drive. 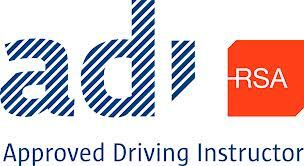 Learn Right Driving School specialize in providing driving lessons for beginners and advance too. Learn Right Driving School provides Fully Qualified and Experienced ADI (Approved Driving Instructors ) from RSA (Road Safety Authority Ireland ) Driving lessons in a Manual and Automatic cars. Category B Car/small van. Learn Right Driving School provides driving lessons in English and the following Asian languages: Urdu, Hindi and Punjabi. If you are looking for driving lessons in an Automatic Or Manual car, for any level such as LDT ( Learners Driver Training ) EDT ( Essential Driver Training ) and Pre-Driving Test ( Practical driving test ), look no further and waste no more time. Check out our prices. Leixlip, Lucan and Tallaght .